Rediff.com » Movies » O! The careers Anushka's screen hubbies have had! Whether it's real life or reel, Anushka Sharma makes sure her man has a unique job! 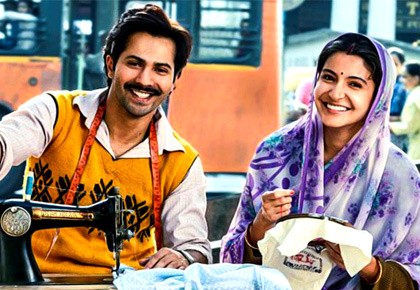 In Sharat Katariya's Sui Dhaaga, Anushka Sharma plays a small town housewife understandably upset by her tailor husband's daily humiliation at the hands of his boss. She encourages him to use his talent to set up a garment business. 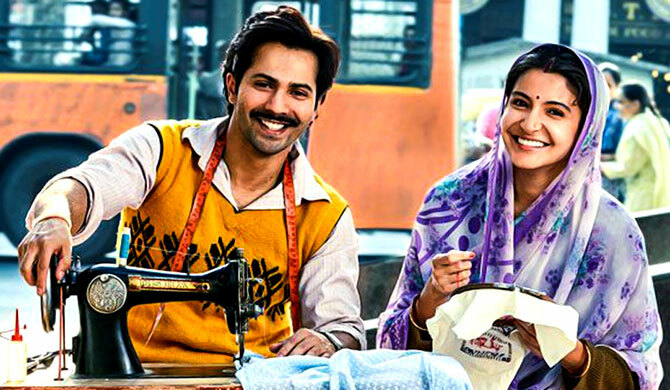 As we eagerly wait to watch Varun Dhawan's dress-making skills on screen, Sukanya Verma looks at all the other curious professions Anushka's on screen hubbies picked before this. 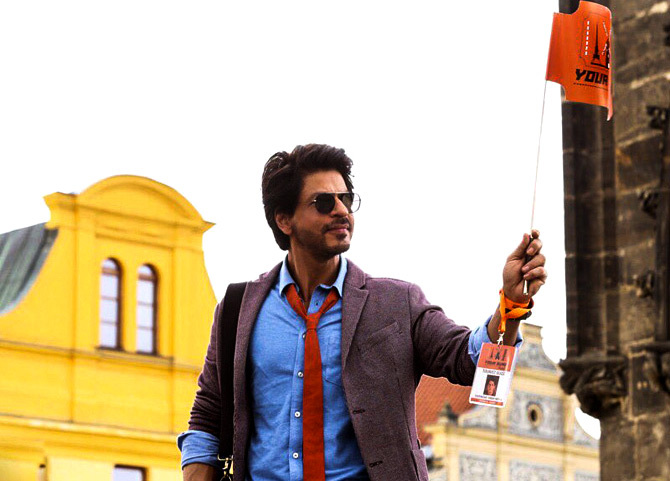 In Imtiaz Ali's strange love story unravelling against picturesque Europe, Anushka's titular character falls for her lonely, loveable tour guide, played by Shah Rukh Khan, while she's looking for her missing engagement ring. 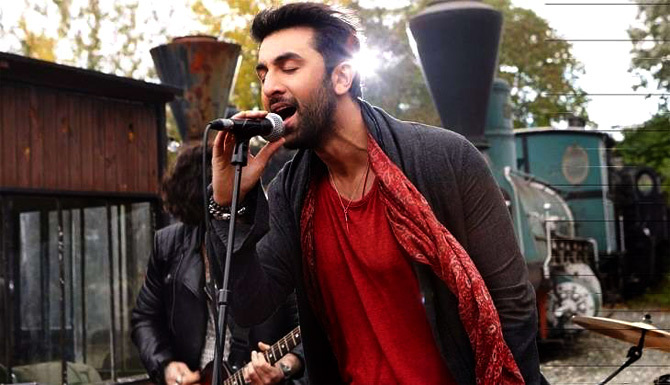 Neither Ranbir Kapoor's sweet voice nor his charms can win over Anushka's heart as she friend-zones him for good in Karan Johar's ode to tedha love. If nothing else, their bittersweet relationship helps him realise his potential and become a famous singer. Anushka gives up her flourishing career in international wrestling to settle for marriage and motherhood even as her wrestler husband continues to go places in Ali Abbas Zafar's Sultan. As a London-based documentary film-maker hovering in Kashmir to make a movie on a soldier who challenges death every day following a failed romance, Anushka digs for fodder and eye candy in Shah Rukh Khan's waiter-turned-bomb defuser. A marvellously upbeat Anushka spurs on her NRI boyfriend Akshay Kumar to embrace his true calling as a fast bowler of the English cricket team instead of running the family grocery store and appease his father. A determined wedding planner from a middle-class household in Delhi dreams of catering to an exclusive clientele, one that comes true when she gets Ranveer Singh's resourceful slacker on board. His skills, her smarts, it's a match made in wedding organiser heaven. 'Punjab power, lighting up your life' is no mere expression for SRK's happy-go-lucky clerk of an Amritsar electricity company. It's an image he quite literally brings to life when he lights up nearly all of Amritsar and impresses his young wife Anushka Sharma in her debut movie.